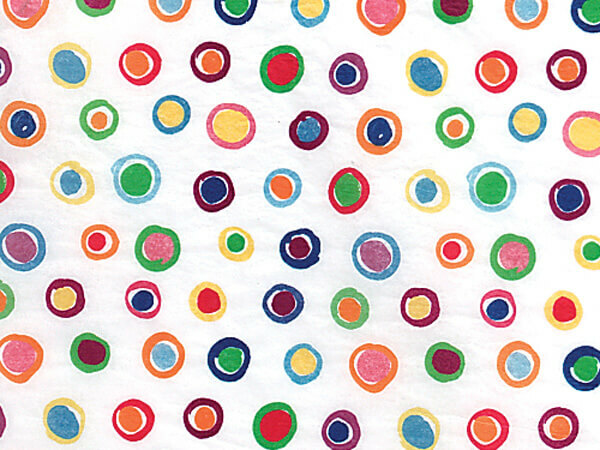 Rainbow Spots Printed Tissue Paper by the half ream coordinates with our Rainbow Spots design group. Printed on 100% recycled white tissue and part of our Green Way ® Eco Friendly Packaging. Design for children & baby packaging. Made in the USA.